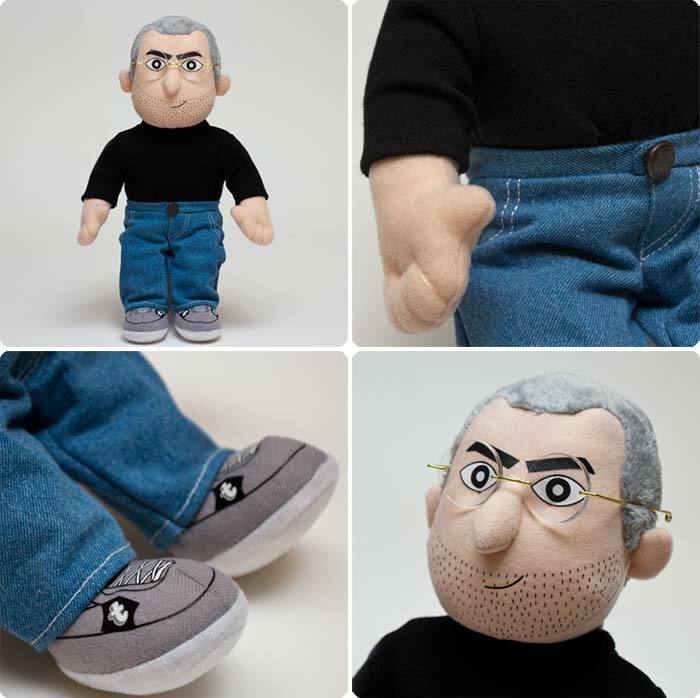 In order to celebrate the life of Apple founder and CEO Steve Jobs, a great visionary who passed away on October 5 2011 , Throwboy has produced a limited edition Steve Jobs plush doll named iCEO (via FSM). To prevent any legal ramifications in future, Throwboy and its founder, Roberto Hoyos, have been smart enough not to categorize the doll as “Steve Jobs”, thus selecting the name iCEO. The 15-inch tall doll’s similarities are quite obvious though, thanks to a black turtleneck, blue denim pants and removable rimless glasses. Throwboy founder has also announced in a YouTube video that 10% of the profit from sales will be going to the American Cancer Society. Limited to a production run of 1200, the doll is set for release in August 2012 with a retail price of US $60 each. You can preorder one here.